Is it any wonder we get confused about what to eat? Everything seems to be either a cause or cure for cancer and there is always latest research to prove it. In just one week the food and disease world seemed to go into hyper drive with a myriad of studies dissecting everything on our plate. Here is what has been found. Eating a small portion of nuts each day lowers cholesterol and may lower rates of heart disease. Eating more bran lowers the risk of cardiovascular death in type 2 diabetics. Drinking soda and other processed foods high in phosphates may accelerate the ageing process. Eating cheese may help strengthen the immune system but eating processed meats like sausage and bacon each day significantly increased the risks of heart disease and type 2 diabetes. So when you are next at a function and the antipasto plate comes around you can eat the cheese and nuts rather than the salami whilst looking for the wholegrain cracker and of course passing on the soda. Now as it turns out this is actually not a bad idea. However when we look closer at the “research” it is, like much research, worth little more than the paper it is printed on. The corker is the one about the soda, which was a genetic study on mice. Why on earth would anyone do this and who has paid for it? 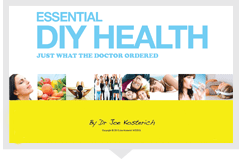 We already know about the calories in soda and how consumption contributes to obesity and as I have written before, there is nothing in any soda that the body needs. We seriously do not need mice to be fed soda to see what happens to their genes to know that it is not good for us to drink soda. I like a bit of cheese and we know that the hysteria over cholesterol has demonized a food, which has long been part of human culture. It is best enjoyed for the taste and yes it has some useful minerals too. A study on 31 nursing home residents hardly classifies as a basis to “prescribe” cheese for immune function. The bran study is the old chestnut about whole grains. At least it was done on close to 8000 people over a longer time frame. However do we really not already know that eating more “whole “ foods in preference to processed foods is good for everyone and not just diabetics? There have been many previous studies looking at problems associated with processed meats. This time an analysis was done on 20 previous studies and to be fair a link to diabetes is a new finding. However eating them once a week is different to once a day as is one slice of salami versus a whole salami. More to the point, what else were these people eating. Nuts are an important part of a good diet but a study on 583 people eating 67 grams of nuts per day does not really prove anything. Here is a different way of thinking about eating. Forget about whether this food or that increase or decreases your chances of disease X Y or Z or what the latest research shows. Focus on eating foods that the body needs. Our ancestors managed this very well without any research. They ate foods, which they could gather or catch, and they could gather more than they could catch. They did not eat food with long expiry dates or food with numbers and labels, which came in boxes. They drank water.